January 2019 - Everyone Has Feelings! Make sure to join our members' Facebook Group where you will get additional bonus content, sneak peaks, and opportunities to learn from each other and the HEART educators! 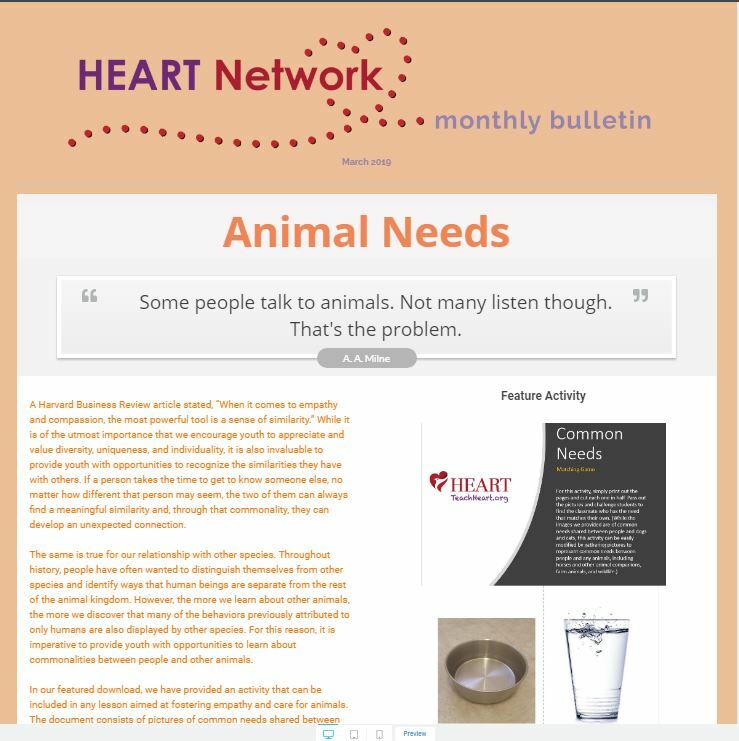 Display the HEART Network membership logo on your website, education materials, or wherever you want to highlight your membership. Click the logo image below to select a format and download. 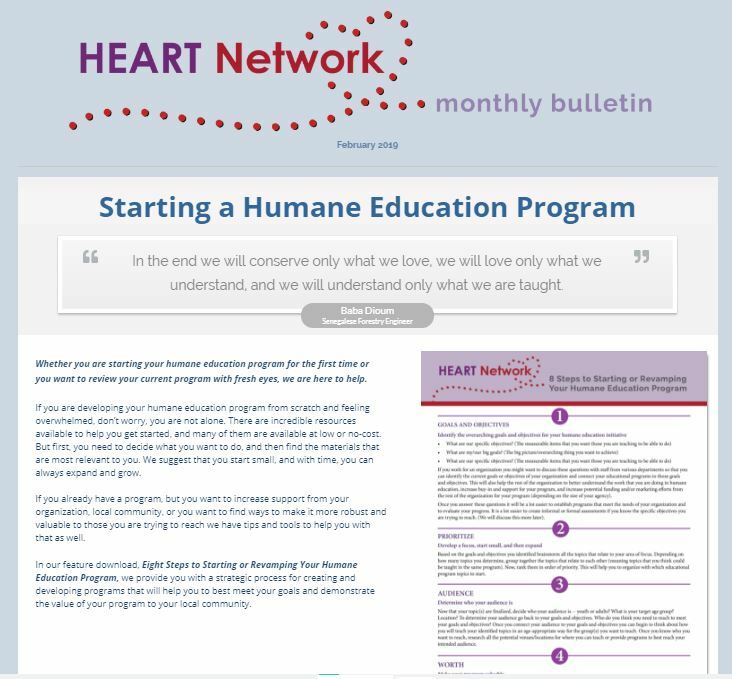 HEART's mission is to develop a generation of compassionate youth who create positive change for animals, people, and the natural world. Learn More. Choose the desired format below to open and save the logo image file. Note: jpg is a white background and png is a transparent background.